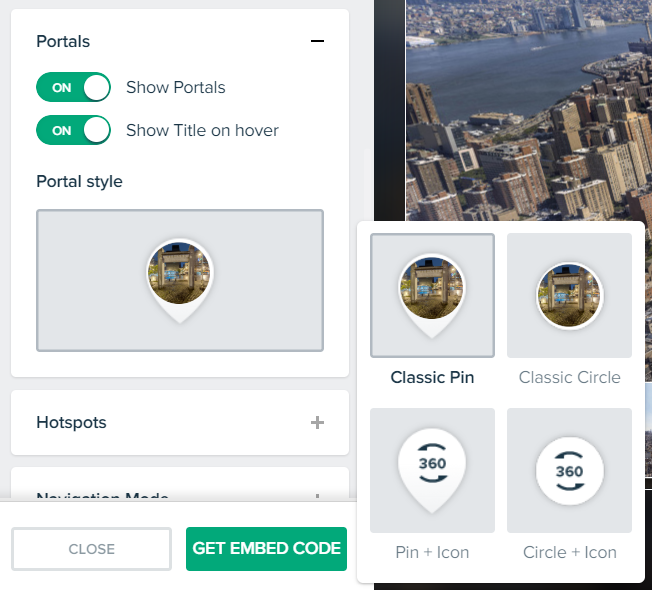 The default hotspot and portal icons are used when you browse your tour on roundme.com, but you can customize those icons in your embeds. 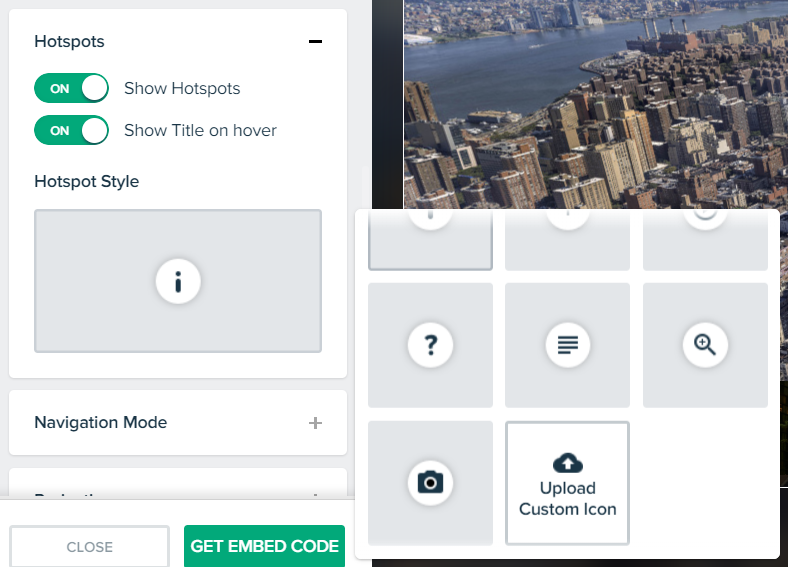 This feature is available for your tours with 'Pro Embed' features unlocked. Here you can find all the information related to 'Pro Embed' tour upgrade. 6) Save new layout or update the one you created previously. 7) Obtain the embed code. 4) Now you can see the preview of your embedded tour on the right. There are arrows net to the hotspots in the preview. Please note, that this change is permanent and affects all the embeds of the tour. By default, the preview image is shown on the portal pin, but you can easily replace it with the icon (if the required image is not yet on the list, you can upload your own image).